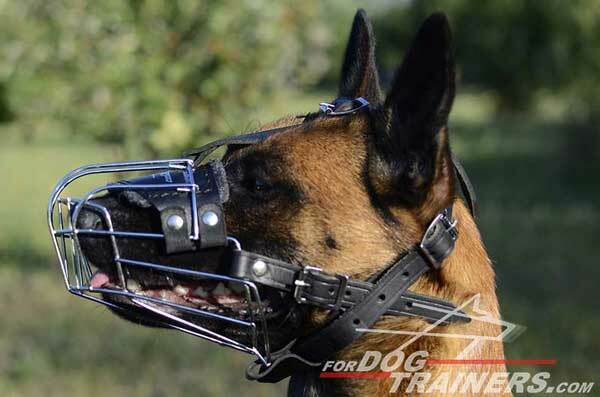 Do you want to muzzle your dog to let people around you feel in safety? 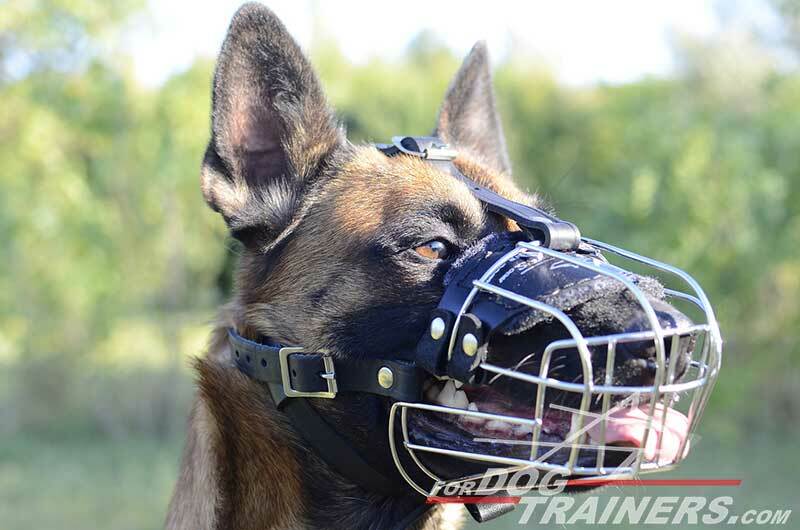 Do you need durable muzzle to train your dog? 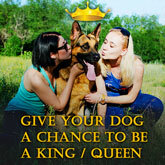 Do you want your dog to breathe freely? 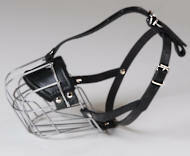 Our Wire Basket Dog Muzzle will satisfy all your demands. 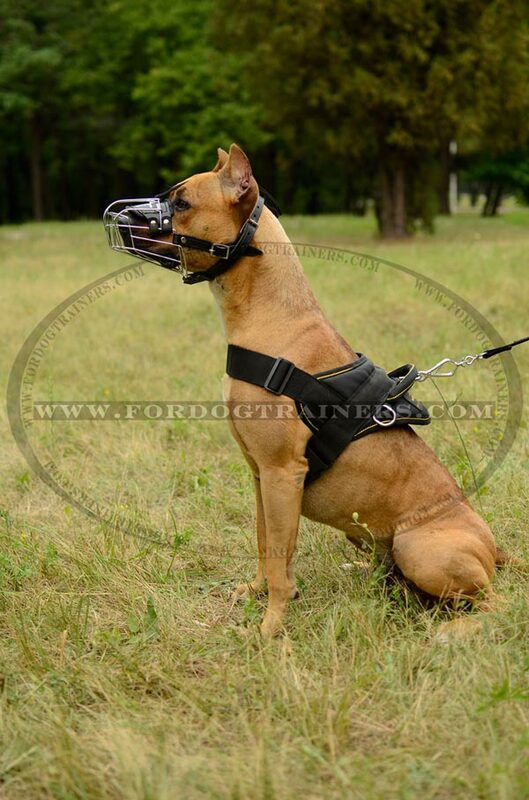 The ForDogTrainers company produces only high quality extra durable dog training equipment. Our products are made of 100% dog safe materials. We guarantee that you won't be displeased with our products. Our goods are carefully made by hands of our craftsmen. 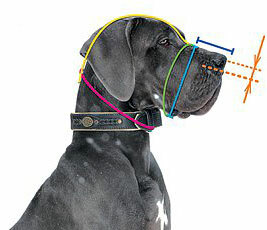 That means that you will never find such metal dog muzzle in any other pet store. This well-fitting, comfortable muzzle is made on the basis of special strong metallic construction to maintain the shape of the muzzle and to assure long life for the muzzle. Due to great design the muzzle provides the dog with best ventilation available among muzzles. This muzzle is completely safe and non-toxic. 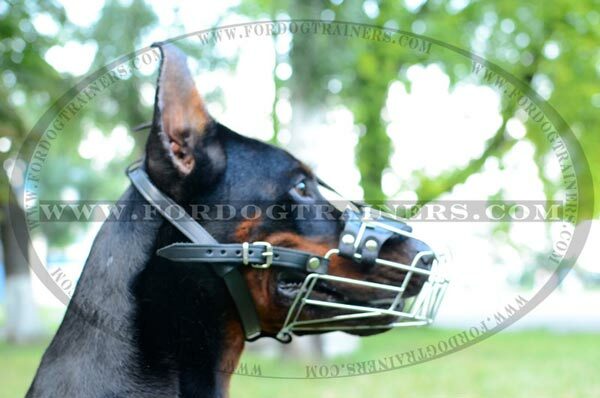 The muzzle is padded on nose with soft felt for maximum comfort of your dog and to prevent rubbing. It inhibits biting, chewing. If it is properly fixed, it is difficult for the dog to dislodge with it's paws. 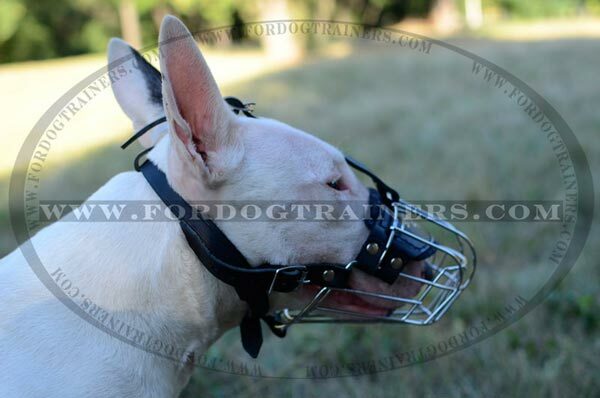 To prevent your dog or people around it from injuries it is never advised to leave your dog unattended while muzzled. 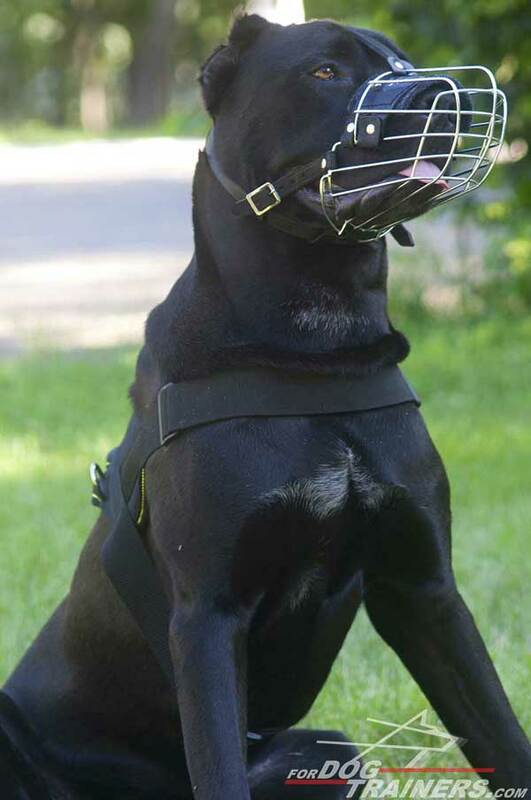 The muzzles arrived today, they are fantastic, very impressed with the quality and looking forward to getting the desensitizing under way, any advise you can offer on getting them accustomed to them wearing them would be much appreciated! Thanks again! 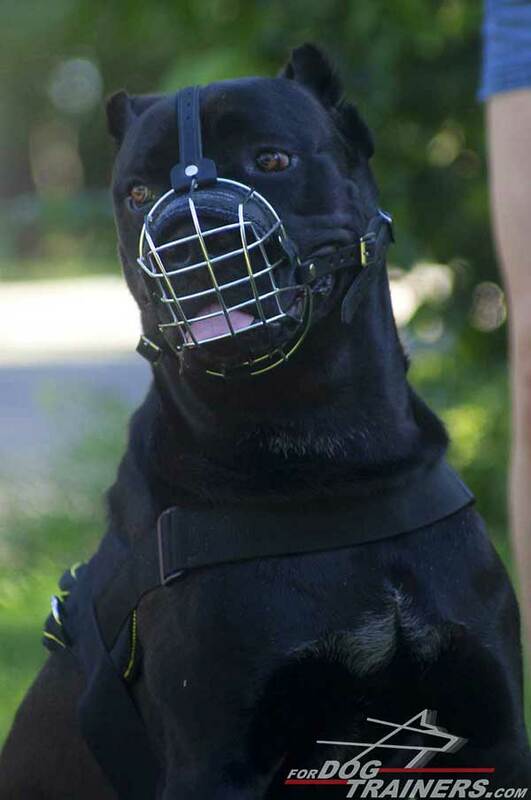 Wanted to tell you that the Muzzle for Kole arrived yesterday and it fits "perfectly". Thank you very much for the quick and wonderful service. Thank you sooooo much, the new muzzle is great!! I received the wire muzzle today. Thank you. It is beautiful and fits my dog perfectly. Coreen Sines from New York, United States. Good evening, I just wanted to let you know that my dog, Abby, is adjusting nicely to the muzzle. She knows that when we go for walks that she will have to wear it. We don't have to keep after her to not eat rocks now and our walks are pleasant. Even with the muzzle on she was able to slip a kiss to our next door neighbor! Thank you for your service.